If your iPAQ rw6800 series PDAs earpiece sound has stopped working i.e. you are unable to hear a caller when they talk. Your internal earpiece speaker has failed this is the replacement part that is required for repair. 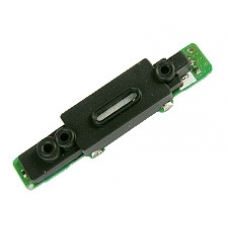 The internal earpiece speaker simply connects to the top of the mainboard unit.